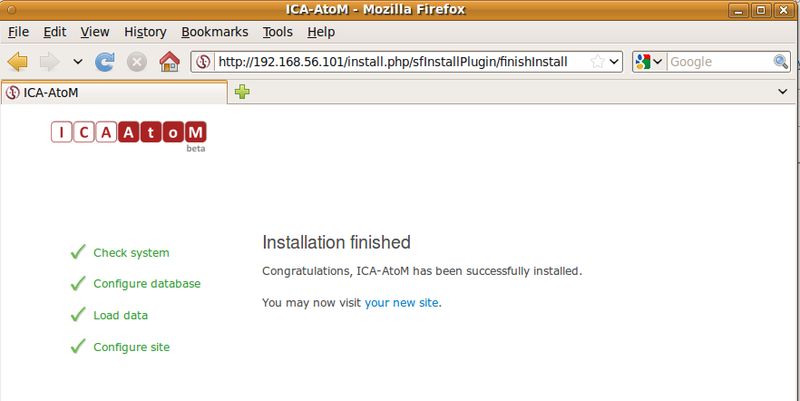 The virtual appliance allows you to try ICA-AtoM on your personal computer if you don't have access to a webserver on which to install ICA-AtoM. 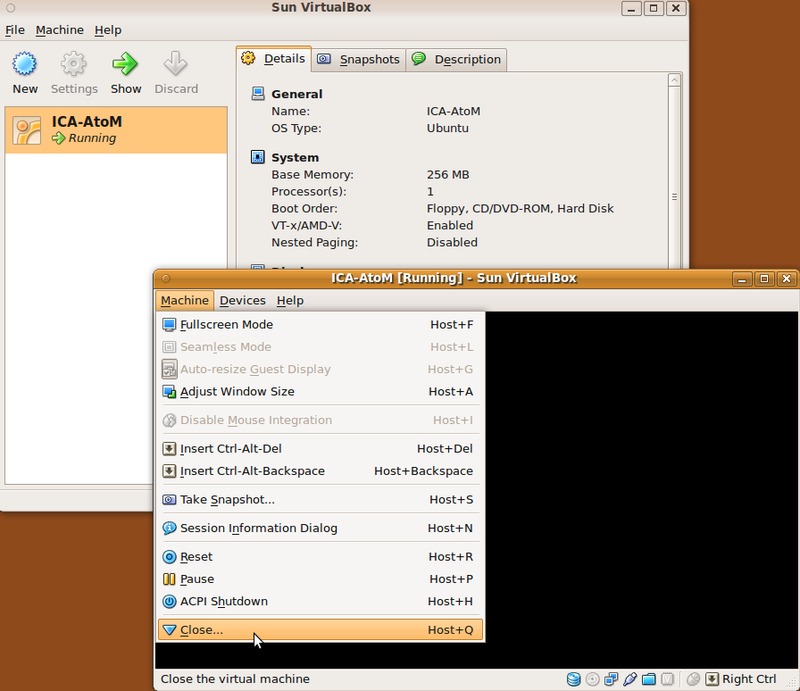 A virtual appliance is one file containing a minimal operating system and server software. 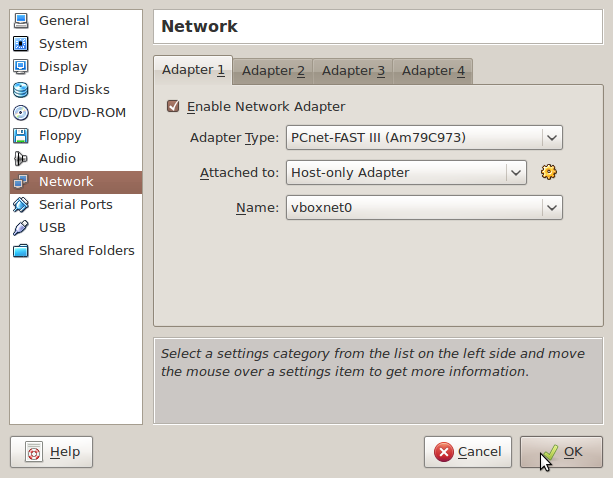 You can "play" this file with a free virtual machine player like VMware Player or Sun VirtualBox. When you play the virtual appliance, it starts the second operating system and server software inside the player, on top of your existing operating system. There is no need to reboot or install anything except the player. 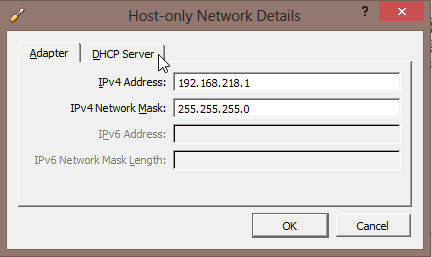 You can then connect to the web server running inside the virtual machine player with your regular web browser. 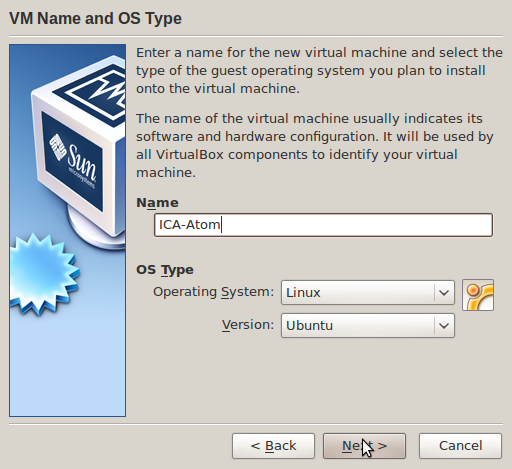 There are VirtualBox versions available for every major operating system. A file with extension vmdk, where the entire appliace is encapsulated. 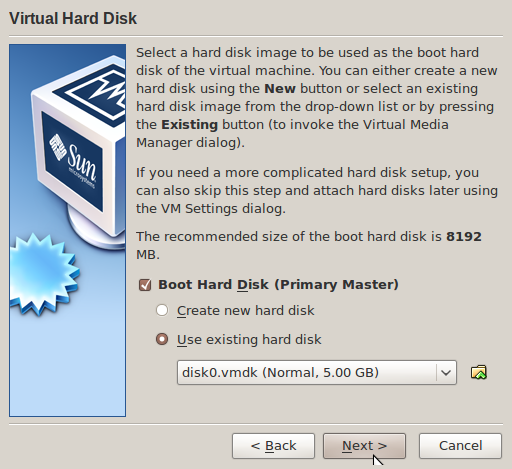 For example: disk0.vmdk. A configuration file with extension vmx. 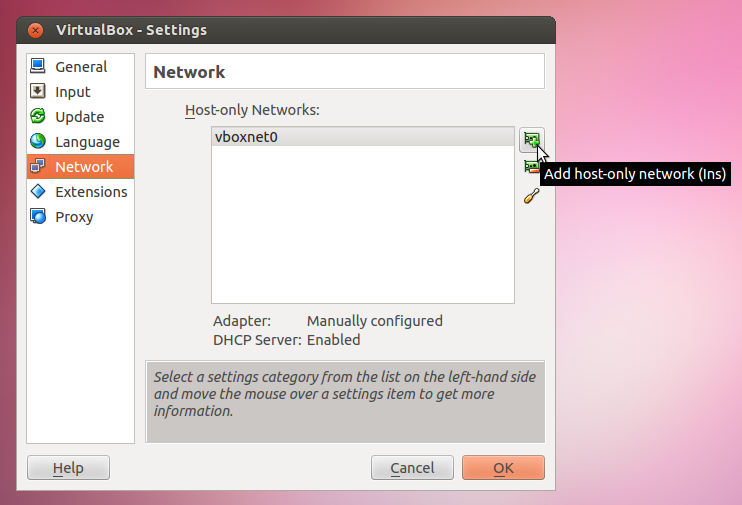 For example: ubuntu.vmx. If you have trouble unzipping the file, try PeaZip. 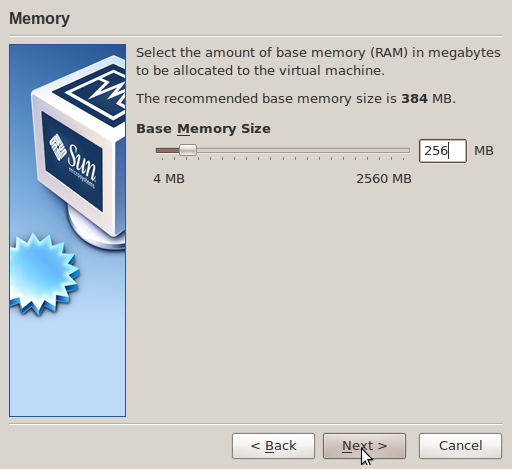 Open the Sun VirtualBox virtual machine. Enter a Name e.g. "ICA-AtoM"
Set OS type as operating system "Linux" version "Ubuntu"
Set Base Memory Size to "256MB"
Having trouble with selecting the network? 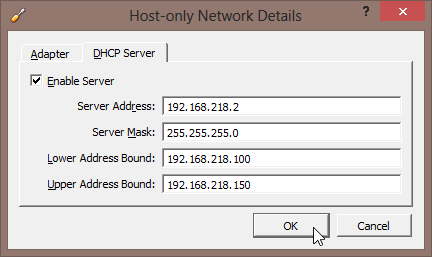 Now go back and follow the previous steps - when you select the network as "Host-Only" it should work this time! 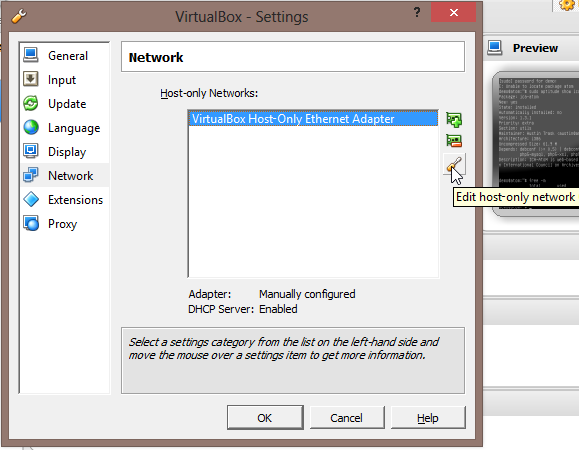 See also: Virtual box How-to Guide for managing network settings including host-only network adapter settings. Wait for boot to complete. 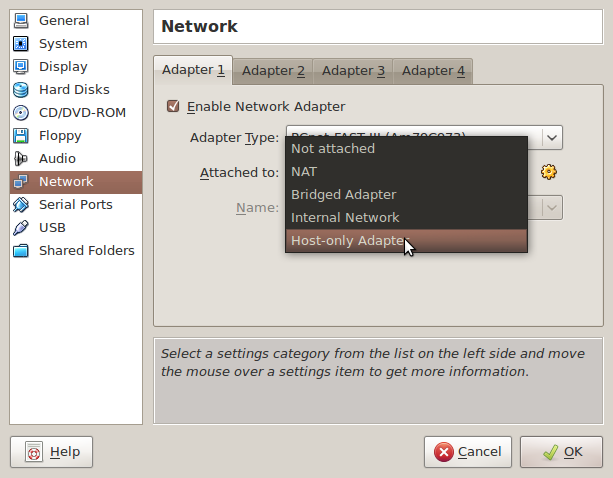 You do not need to enter the Ubuntu (or "ica-atom") password (bottom of the boot-up screen). You can simply minimize this window for now. Don't adjust the default database settings. 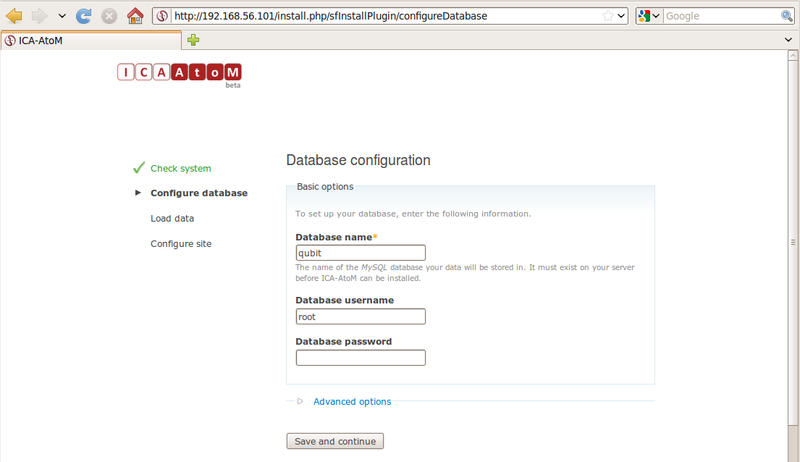 Accept the default database name ("qubit") and user ("root"). 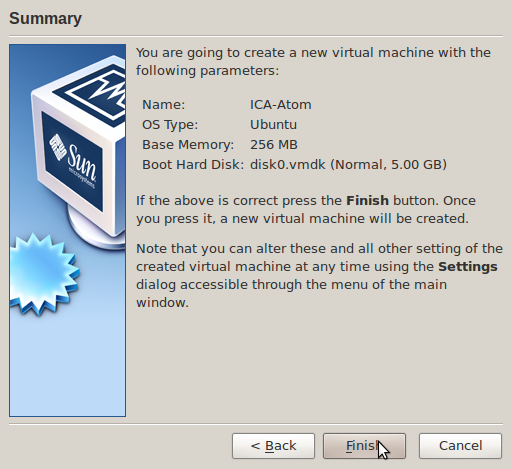 Just press "Save and continue"
If you don't select the "Save the machine state" option you will lose any data you have entered and have to complete the ICA-AtoM installation anew the next time you start the virtual appliance. 3.4.3. 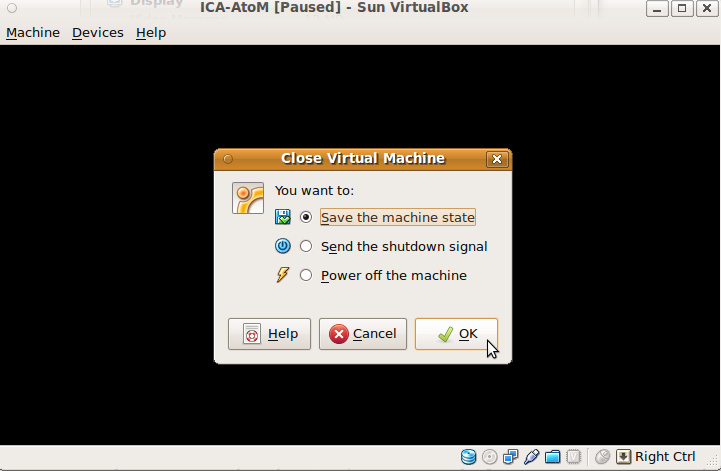 Saving the state of the machine When you click on the "Close" button of your virtual machine window (at the top right of the window, just like you would close any other window on your system) (or press the Host key together with "Q"), VirtualBox asks you whether you want to "save" or "power off" the VM. The difference between these three options is crucial. They mean: Save the machine state: With this option, VirtualBox "freezes" the virtual machine by completely saving its state to your local disk. 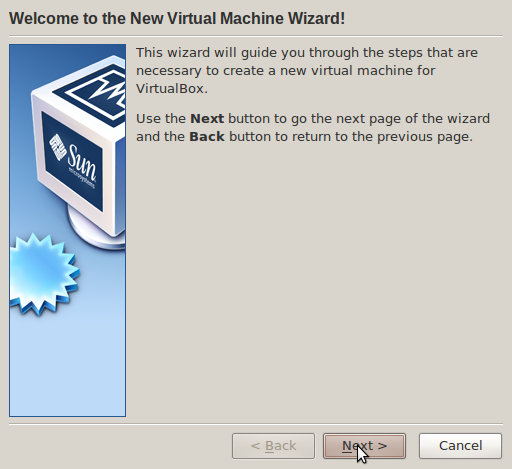 When you later resume the VM (by again clicking the "Start" button in the VirtualBox main window), you will find that the VM continues exactly where it was left off. All your programs will still be open, and your computer resumes operation. Saving the state of a virtual machine is thus in some ways similar to suspending a laptop computer (e.g. by closing its lid). Send the shutdown signal. 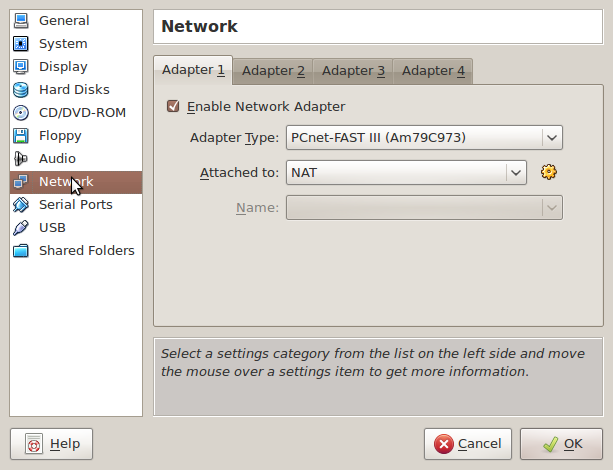 This will send an ACPI shutdown signal to the virtual machine, which has the same effect as if you had pressed the power button on a real computer. So long as a fairly modern operating system is installed and running in the VM, this should trigger a proper shutdown mechanism in the VM. 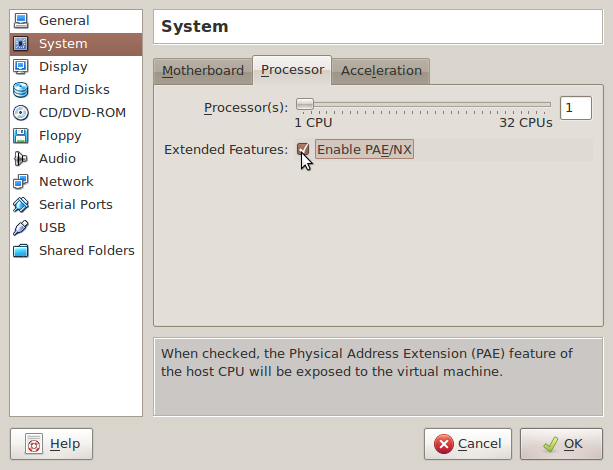 Power off the machine: With this option, VirtualBox also stops running the virtual machine, but without saving its state. This is equivalent to pulling the power plug on a real computer without shutting it down properly. If you start the machine again after powering it off, your operating system will have to reboot completely and may begin a lengthy check of its (virtual) system disks. As a result, this should not normally be done, since it can potentially cause data loss or an inconsistent state of the guest system on disk. The "Discard" button in the main VirtualBox window discards a virtual machine's saved state. This has the same effect as powering it off, and the same warnings apply. Try searching for answers on our Google Groups disscussion page, or in the list of issues. 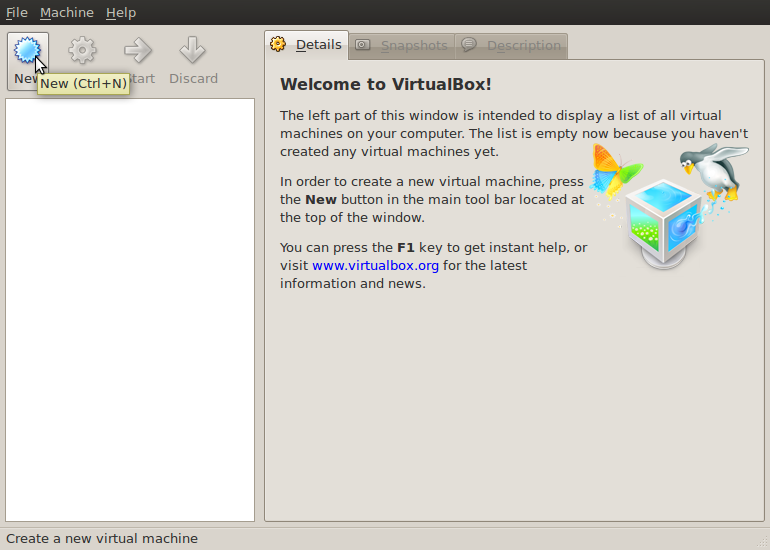 You can also find the user manual for Oracle's VM Virtualbox here, and a Virtualbox FAQ page here. Oracle also maintains its own user forums where issues can be discussed and resolved through community support - check it out here. 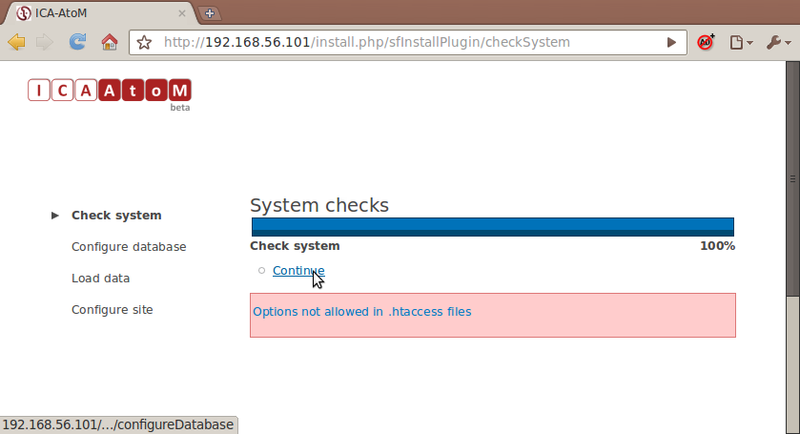 This section is for Linux users only. 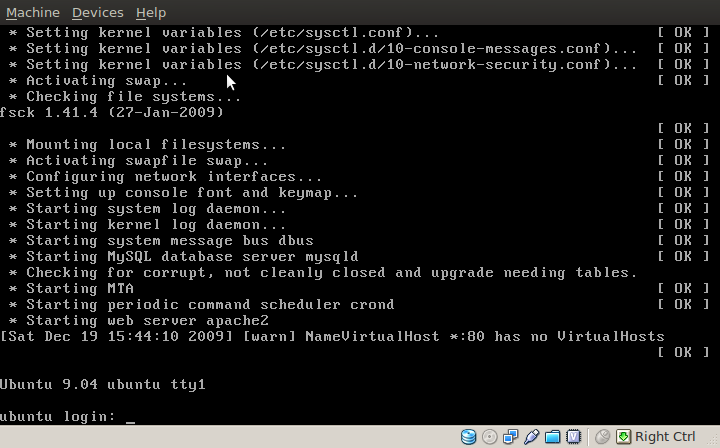 KVM is part of the Linux kernel, check with your distribution for installation methods. 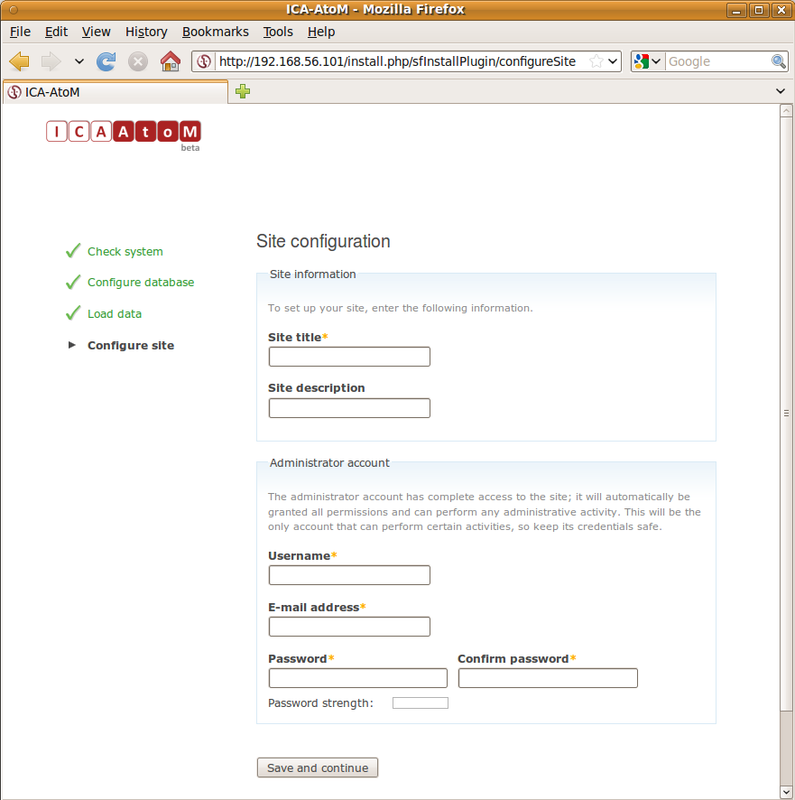 This page was last modified on 11 July 2013, at 12:20. This page has been accessed 62,576 times.